It is an exciting time in the life of Phoenix Primary school. We have embarked on a journey which will benefit the whole school community, from pupils and staff to parents and governors. Here’s what we think you might like to know about it! 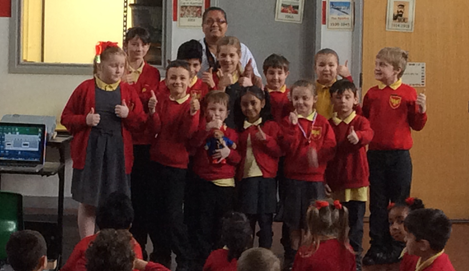 We hope you will support the school’s journey to become a Unicef UK Rights Respecting School. Unicef is the world's leading organisation for children and young people, promoting the rights and wellbeing of every child, in everything they do. Together with their partners, Unicef works in 190 countries to translate that commitment into practical action. As part of our journey to become a Rights Respecting School, Mrs. Irwin introduced the children to UNICEF’s OUTRIGHT campaign on World Children’s Day (20th November 2017). This is a special campaign for schools in the UK that empowers you to speak out about children’s rights - it is a campaign for children, by children! Right now, refugee children are in danger. 50 million children have been uprooted from their homes, most forced to flee from violent conflict. Many of them are making dangerous journeys, risking their lives in search of safety and close family. During the next two weeks, the children at Phoenix are going to learn about the impact of the refugee crisis on children’s rights to protection and family reunification. The right to protection for unaccompanied refugee children. The right to be reunited with family if they live in a different country. Did you know that Paddington Bear is a refugee?